Will Eating Fat Make Me Fat? Myths Debunked and More (Part 3 of 3)? This is the final part in our 3-part article series to provide clarity about consuming fats. In Part 1, we talked about elements that make a good fat, popular beliefs about fats debunked, types of fats, and health benefits of fat. Click here to go to Part 1 of this article. If Part 2 (click here), we discussed understanding terminology used with fats and oils, how to use fats for best quality, specific healthy and unhealthy fats, usage guidelines for consuming healthy fats, and other tips about fats. Of course, there are many healthy fats, as indicated in the previous articles. However, for this final article, it is Coconut Oil, Flaxseeds, and Eggs that are highlighted, along with benefits, and guidelines for their usage and consumption. Three well-published authors on the subject, from diverse backgrounds, are Mary Enig (PhD lipid biochemist), Bruce Fife (naturopathic physician), and David Wolfe (raw foodist). It may be difficult to believe that eating more of one particular fat can not only be healthy, but also prevent disease. The medium chain triglycerides (MCTs) in coconut oil do not require bile (required for digesting fats) or the fat digesting enzyme lipase. This is a great benefit for those who do not digest fats well and it gives your digestion system a break. That’s right! 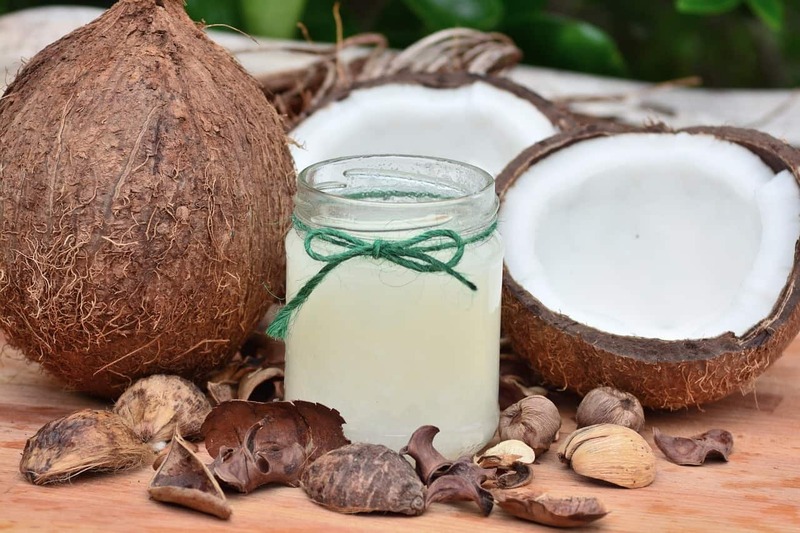 Studies reported in Clinical Biochemistry in 2004 supported the hypothesis that consumption of coconut oil had a beneficial effect in lowering total cholesterol, triglycerides, phospholipids, and low density lipoproteins (LDL) which is the good part of LDL. The fatty acids in coconut oil prevent the oxidation of cholesterol that can lead to atherosclerosis. Lp (a) or lipoprotein (a), which is a better indicator of heart disease in women than cholesterol, was lowered with the consumption of coconut oil. Anti-Microbial: Lauric acid is a substance found only in breast milk and coconut oil. It is a potent anti-microbial, anti-fungal, and anti-viral agent, which can either kill or disrupt the growth of many viruses and bacteria. Think of it as your #1 germ fighter. It is also great for combating yeast such as candida! The MCFAs (medium chain fatty acids) are digested and utilized differently than most fats. They do not circulate the bloodstream like other fats, but instead go directly to the liver where they are converted into energy. They help control blood sugar and are not stored as fat. Coconut oil consumption ultimately leads to a reduction in fatty deposits and weight reduction. Coconut oil has been shown to restore thyroid function, resulting in lean tissue and increased energy. This, in turn, has a positive effect on your metabolic rate. Coconut oil appears to double the body’s ability to use antioxidant omega-3 fatty acids. Taking your omega-3s (especially the plant sources like flax) with coconut oil further potentiates the benefits of the essential fatty acids. Coconut oil is an effective moisturizer on all types of skins including dry skin. There is no chance of having any adverse side effects on the skin with then application of coconut oil, making it a safe solution for preventing dryness and flaking of skin. It also delays wrinkles, and sagging of skin, which normally become prominent with age. Coconut oil also helps in treating various skin problems including psoriasis, dermatitis, eczema, and other skin infections. It’s fantastic rubbed into the scalp to promote healthy hair and prevent a dry scalp. Flaxseeds are a source of omega-3 fatty acids, and a great addition to your diet. Though there are great benefits to flaxseeds in a healthy dietary plan, you should be aware that there is a downfall if you are relying on these plant-based omega-3 sources for obtaining appropriate amounts of omega-3 consumption. This is especially essential of vegetarians and vegans to understand. The type of omega-3 fatty acids in plant-based sources just do not provide the optimal levels of omega-3s needed, and that we would obtain from animal-based sources. Click here and here for more details on this. 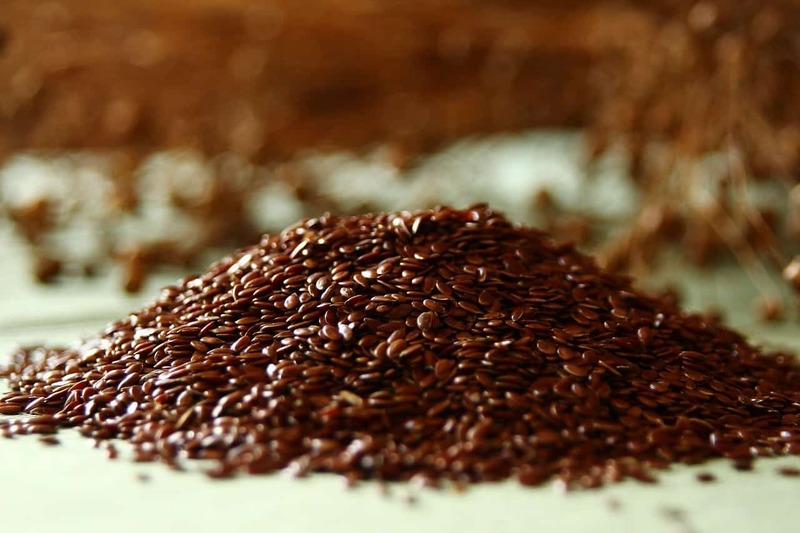 With that said, flaxseed can still be a good fat source, in addition to other benefits in a healthy dietary plan. Flaxseeds can be purchased whole, pre-ground, or as an oil. The seeds provide a host of other nutrients that are lost in the oil, including manganese, magnesium, and especially fiber. Whole flaxseeds will last longer than pre-ground flax. Ground flaxseeds are more prone to oxidation. Purchase in vacuum sealed or refrigerated bags and store in an airtight glass container in your freezer. A yummy sandwich: gluten free whole grain bagel with flaxseed oil, avocado, tomato, and some good-quality sea salt. Eggs are an ancient food. A great source of protein and beneficial fats, including the fat soluble vitamins A and D, as well as folic acid and the adrenal building minerals choline, potassium, sulfur, and phosphorous. Eggs were historically eaten from the chicken, goose, duck, turtle, and fish. Eggs contain cholesterol in their yolk. This is NOT a bad thing. 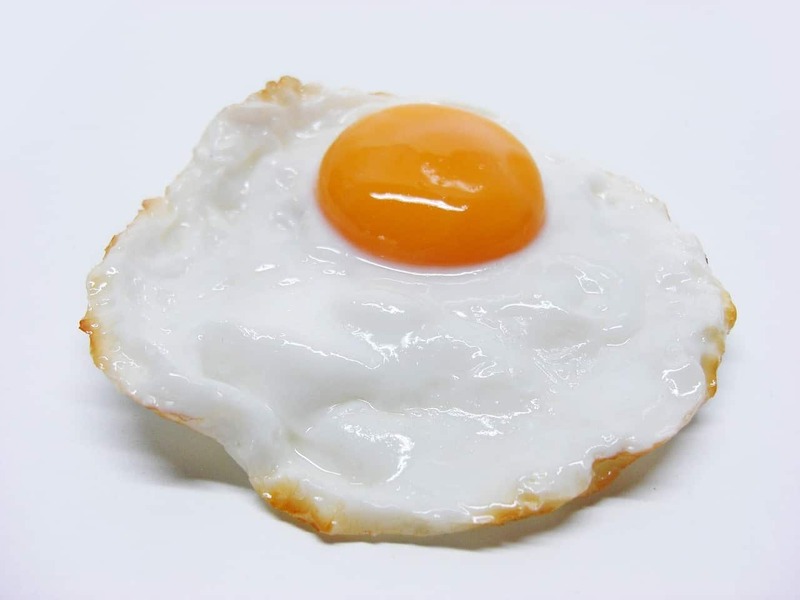 Research now shows… IF egg consumption effects blood cholesterol, it is only the larger, fluffier kind of LDL cholesterol—the one that is not associated with heart disease. Eggs are great for the reproductive organs. Eggs are critical for pregnant and nursing women, and for the health of their developing babies. Choline keeps the cell membranes flexible and active. Choline also helps generate neurotransmitter activity. It increases concentration and focus as well as memory. Egg consumption has even helped in cases of Alzheimer’s Disease. Choline neutralizes homocysteine—a substance that can otherwise damage blood vessels. Eggs can also decrease your risk for heart attacks and stroke thanks to the anti-clotting agent found in yolks. The lutein found in eggs can help prevent macular degeneration. Organic: Organic chickens eat feed and grains that were not grown with pesticides. The animals are not given hormones or antibiotics, but “organic” on the label does not tell us if the chickens were able to exercise (causing extreme stress in the animals), nor does it tell us what they were fed. Thus, many organic eggs may come from not fully healthy chickens. Pasture-Raised: Pastured eggs come from pastured raised chickens. “Pastured” often refers to poultry and eggs from chickens that have been raised in a healthy environment, and one that is how a chicken would normally live. This means walking around in open fields/meadows and woods, hunting and pecking for food, and having access to a hen house at night to roost, nest, and lay eggs. Pastured chickens also receive supplemental feed during winter and dry months, which is why you want your eggs to be organic, which implies they were fed organic feed. the ideal feed for health and strong immunity. Cage Free: Cage free chickens do not live in cages, yet are crammed in a hen house with thousands of others. Though they may have a door for access to the outdoors, it may or may not get used. Vegetarian Eggs are not necessarily good for you. Chickens need protein to develop properly, which is why bugs are a part of their natural diet. Chickens that are vegetarian may be fed genetically modified soy and other unhealthy grains. White vs. Brown Eggs: There is no difference between white and brown eggs. Conventional Eggs: These eggs come from chickens fed conventional food, which includes GM (genetically modified) grains, GM soy, and pesticides. The toxins from pesticides and herbicides are stored in the fat of these chickens and their tightly packed living conditions make exercise difficult. Though it is illegal in the US to use hormones with poultry, that doesn’t guarantee corruption in this industry so there are no guarantees with conventionally raised chickens and their eggs. It’s no surprise that these chickens are unhealthy and can harbor diseases like salmonella. Antibiotics are often needed to rid conventional chickens of diseases. Conventional eggs have abnormally high levels of omega-6 fatty acids. High levels of omega-6 fatty acids may increase your risk for cancer, obesity, and heart disease. Are all eggs the same? Absolutely not!!!!! For the most health benefits and least amount of harmful substances, best are organic, pasture-raised. The next best would be organic free-range. Here’s to you thriving in wellness!